Do you want to learn to EAT like a pro?! The World Food Championships will offer a class that trains foodies in its very own E.A.T.™ methodology, the scoring system that allows any WFC entry to be judged consistently using three key criteria: Execution, Appearance and Taste. This class will be taught by a WFC associate or professional chef and will be interactive and fun for attendees! Only judges who become E.A.T.™ certified will be eligible to enjoy judging privileges at WFC. Don't miss your chance to become an E.A.T.™ certified judge! Please click here to sign up to receive class updates. Eculent Restaurant, 709 Harris Ave., Kemah, TX 77565. For more information, visit Canadian Food Championships. Want to judge at this great event? Simply click the VIEW DETAILS link below. Then, post on the event facebook \"I want to be a judge,\" and tell them why in 25 words or less! The Palms, the Wharf, Orange Beach, Ala.
Wind Creek - Atmore, Ala. Early bird reservations are available for $75 a person and can be made by contacting Seven Senses at 931-520-0077 or by emailing jay@sevensensesfood.com. Seating is limited, so reservations need to be secured by August 10. Tickets will not be available at the door. 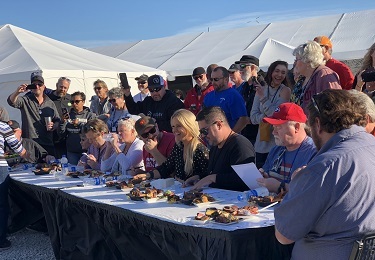 Come join us for a one-of-a-kind food judging experience! 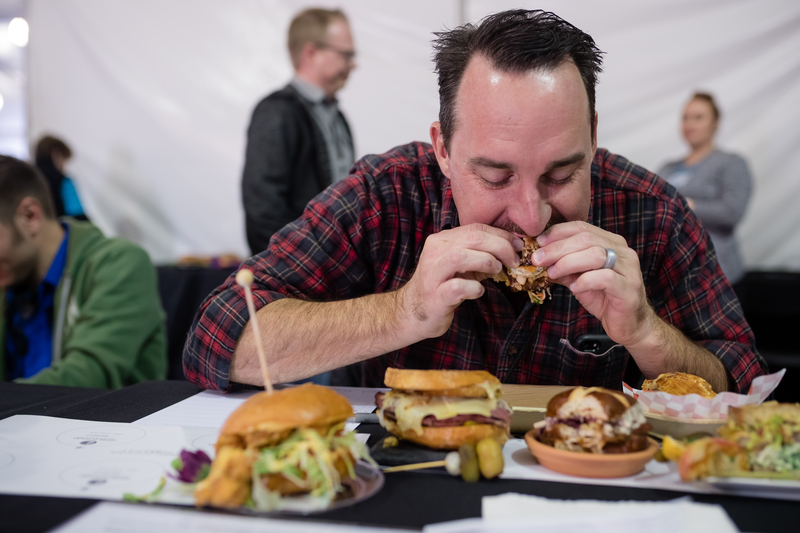 Founder and CEO of the World Food Championships, Mike McCloud, will be showing you the ins and outs of what it takes to be a Food Champ judge. You will get to taste world class food and become certified in the EAT Methodology, the World Food Championships very own scoring system that allows any WFC entry to be judged consistently using three criteria: Execution, Appearance and Taste. Sign up to test your taste buds! As an added perk, you will also get priority seating to judge at the 2015 Bacon Bash on Friday, September 19 and other WFC events. The Bacon Bash is the second largest bacon festival in the nation with events for the entire family! Follow the link below to find more information about the 2015 Bacon Bash and a link to the Official Judge Application! 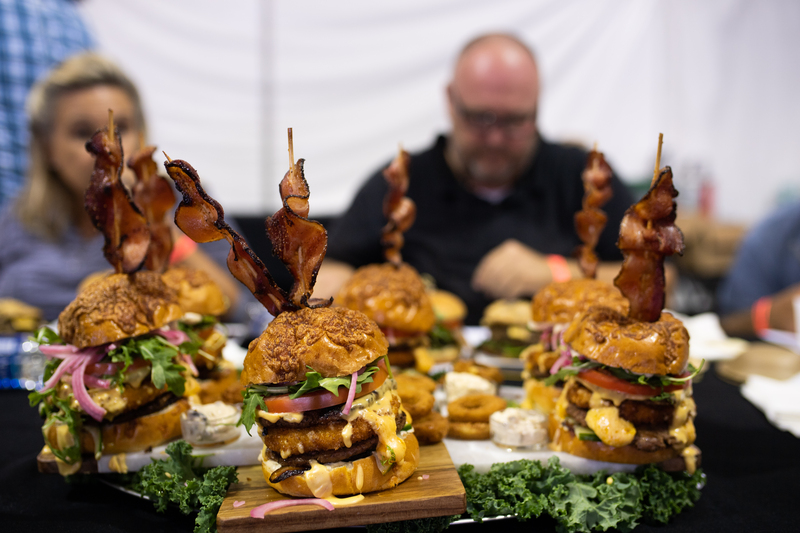 Nashville’s premiere burger restaurant will host a Food Champ judging class for interested foodies. After landing in the Top 10 in the 2014 World Burger Championship, Burger Republic knows how to excite someone’s taste buds. Don’t miss your chance to taste Burger Republic’s delicious burgers and become an EAT™ certified judge. As the exclusive qualifying event for the country of Canada, the Canadian Food Championships will offer more than just intense competition. Canadian foodies are also invited to participate in a special Food Champ judging class where they will earn the chance to become EAT™ certified judges.